It’s Sunny in Nicosia — Why Not in Jerusalem? What would it take to create an environment of Cyprus-like co-existence in the Holy Land? The reason that it is sunnier in Nicosia, the capital of Cyprus, than in Jerusalem can be summarized in one word: partition. While the cycle of violence in the Holy Land ensures a regular supply of widows and orphans, most deaths in Cyprus result from natural causes, car accidents or street violence. The plan would require an agreement between Israelis and Palestinians to a partition along the 1967 cease-fire lines, coupled with land swaps. So you feel worn out by the never-ending “peace process” involving two ethno-religious communities and their competing claims over a disputed territory that has been going on and off for several decades. And you are not surprised to learn that the latest round of “peace processing” has ground to a halt. But never give up hope! Cyprus’ president, Demetris Christofias, is under international pressure to deliver a peace blueprint in October 2011 when he and Turkish Cypriot leader Dervis Eroglu meet UN Secretary-General Ban Ki-moon. But since UN-sponsored peace talks restarted in September 2008, there has been no meaningful evidence of progress. And the United States and the other members of the international community are impatient. Substitute Demetris Christofias with Benjamin (Bibi) Netanyahu and replace Dervis Eroglu with Mahmoud Abbas (aka Abu Mazen), and you may be forgiven for imagining that you were watching an Arab-Israeli film being dubbed into Greek and Turkish. Indeed, the reports about the most recent ups and downs in Greco-Turkish negotiations in Cyprus may sound familiar to professional “peace processors” who have been trying to resolve the conflict between Israelis and Palestinians for most of their careers. To paraphrase Mark Twain, they all continue talking and writing a lot about the Israeli-Palestinian conflict — but nobody seems to be able to do something about it. Neither can anyone make a Cyprus peace agreement happen anytime soon. But notice the dissimilarities. Every time Bibi and Abu Mazen go on a date, the “international community” is in danger of suffering the equivalent of a diplomatic aneurysm. Yet no one in Washington will be holding their breath when Christofias and Eroglu meet in New York in October. Moreover, while the cycle of violence in the Holy Land ensures a regular supply of widows and orphans, most deaths in Cyprus result from natural causes, car accidents or street violence. Occasionally, the leaders of Turkey and Greece make some noise about Cyprus, and the UN urges the two sides to make a deal. But no one worries that the failure to reach a peace agreement will trigger a military conflagration. That Cyprus has not received as much attention as Israel and Palestine may confound the proverbial man from Mars touring the two relatively small pieces of land in the eastern Mediterranean where the descendants of old civilizations continue to quarrel over the ownership of ancient sites that are part of their national legends. Once part of the Ottoman Empire and then ruled by the British Empire, both Cyprus and Israel/Palestine have become central to the national mythologies of Greeks and Turks, Jews and Arabs, who love their historical narratives. Greek Cypriots recently marked the “black anniversary” of the invasion by Turkey on July 20, 1974, which the Turkish inhabitants of the island recall as the Day of Liberation. Israelis say the Day of Independence. Palestinians say the Day of Catastrophe. Most Israelis and Palestinians are not ready to reach a “final status” agreement that would require re-configuring their respective national and religious narratives anytime soon. Palestinians will not give up the “right of return” and accept the idea of a Jewish state or agree to share Muslim control of Haram al-Sharif (Noble Sanctuary), or the Temple Mount, with the Jews. And no Israeli-Jewish leader who subscribes to Zionism, the founding ideology of the state, will agree to anything else. The reason that it is sunnier in Nicosia, the capital of Cyprus, than in Jerusalem can be summarized in one word: partition. The de facto partition of the island seems to serve the interests of all the parties to the conflict. The Republic of Cyprus has de jure sovereignty over the entire island and was accepted into the European Union as a full member in 2006. The Turks maintain self-rule and close ties to Turkey, a rising global power with a thriving economy. The various plans to settle the Cyprus dispute, including the 2004 Annan plan, were either rejected by Greeks or the Turks, and no one expects any change in the status quo anytime soon. Indeed, separating the Israelis and the Palestinians — even without a final resolution — could help create the environment for Cyprus-like co-existence in the Holy Land. It would require an agreement between Israelis and Palestinians to a partition along the 1967 cease-fire lines, coupled with land swaps under which Israel would be allowed to annex some of the Palestinian areas with large Jewish settlements in exchange for Israeli territory with large Arab populations. The Arab and Jewish residential and commercial areas of Jerusalem would also be partitioned, and the religious sites would come under the control of the UN. And security guarantees to Israel and the Palestinians, perhaps in the form of multinational peacekeeping forces that could include the deployment of troops from NATO and the Arab League, would also be part of the plan. The arrangement would fall short of Arab and Muslim aspirations of the return of the whole of Arab and Muslim Palestine and Haram al-Sharif into the fold of the Ummah — and may not correspond to the Israeli vision of peace in the Middle East. But it would allow both Israelis and Palestinians to invest their energy and resources on “nation building” instead of exchanging bombs and missiles. And it could lessen the international pre-occupation with the Israeli-Palestinian conflict. 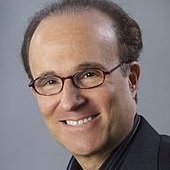 Leon T. Hadar is the Washington bureau chief for Singapore's Business Times.